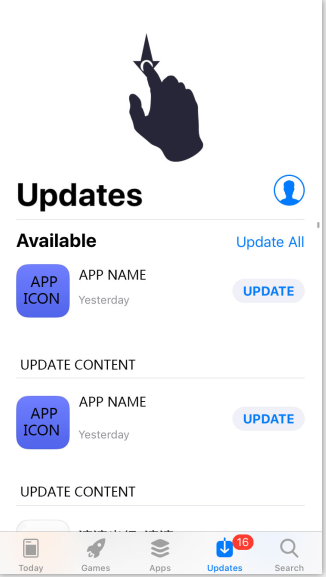 [News] What if I can't update Lords Mobile on the iOS App Store? Dear player, if you are having any problems with accessing the update button in the app store for LM, please follow these 3 steps. 1) Enter the App Store and tap the Updates tab. 2) Refresh the Updates tab by swiping downwards. 3) Tap the Update button next to the Lords Mobile app to update it!